Starting off with the design first, this is a bezel-less smartphone with almost no bezels at all on the top and either side. So, it will be better to call it a ‘Tri Bezel-less’ phone. And since we are talking about bezel-less phones, check out the Umidigi Crystal. The phone is made with the combination of Titanium and Ceramic that gives it that shiny and glossy look. Since it is made up of Titanium instead of regular Aluminium build, the phone will survive drops easily as compared to the smartphones made up of aluminum. There is no headphone jack, but the phone will be shipped with a headphone adapter in the box. So, no need to worry. The design of the phone is super clean and it can be understood by the fact that there is not even any logo on the phone. Talking about the specifications, this device is in no way behind the latest flagships regarding the specifications as it is powered by the Snapdragon 835 processor with 4GB of RAM and 128GB of onboard storage. There is dual rear camera setup with the regular 13MP sensor and a second sensor for bokeh effect and telephoto. Also, the phone is equipped with an 8MP front-facing camera that can capture videos in 4K! The smartphone features a 5.7-inch LTPS LCD Quad-HD display with 19:10 ratio. It is powered by a 3,040 mAh battery with USB Type-C Fast Charging. 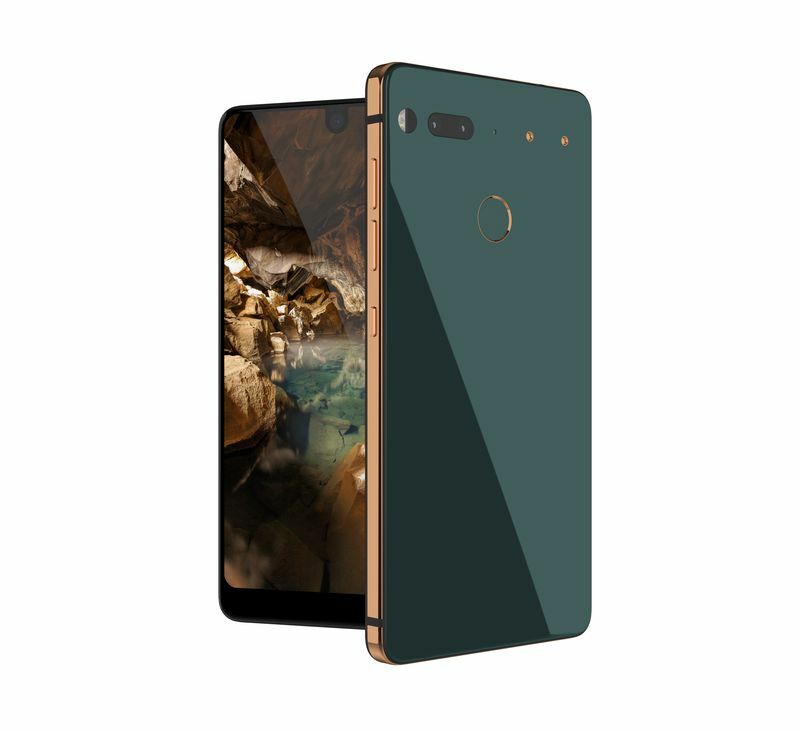 Other features of the phone include Titanium body, Ceramic back, Gorilla Glass 5 Magnetic dock & 6Gbps Wireless Accessory Connector 4x microphones with noise cancellation support Bluetooth 5.0 LE. The fingerprint scanner in on the rear and there are also magnetic pins on the side of the camera module that will be used for attaching other accessories, just like Moto Mods. 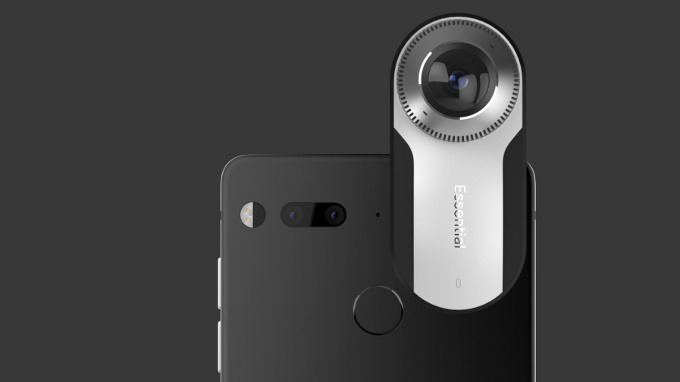 The phone comes with 360-degree camera accesory that canbe attached via the magnetic pins and comes for $50 on the top of Essential’s price of $699. 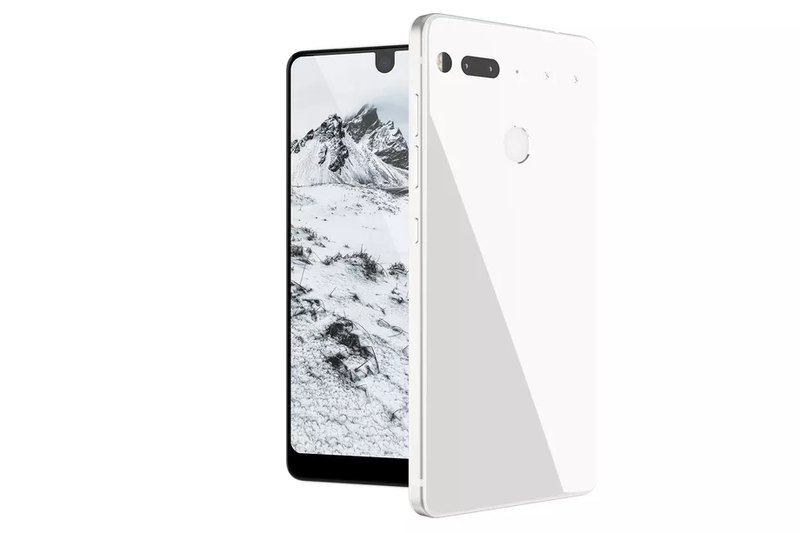 What are your views on the ‘Essential Phone’ by Andy Rubin? Did you like the design? Do let us know via the comments section.